A new report from PRDnationwide has shown that the legacy an event such as the Commonwealth Games leaves on its host city is no myth. 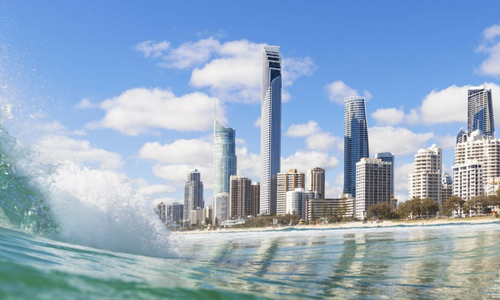 New data predicts the Gold Coast residential property market will grow at a higher rate than what was experienced following the Melbourne Commonwealth Games. This year’s PRDnationwide 2018 Commonwealth Games Residential Property Impact Report released today predicts that two years following the Games, the Gold Coast residential market will still be growing and delivering up to 25% house and unit price increases. Melbourne’s residential price growth two years after its Commonwealth Games event was 20%. In comparison Sydney’s residential price growth two years after the Olympic Games was almost 40%. PRDnationwide Chairman and Managing Director Tony Brasier, said these large events leave an infrastructure that helps fuel ongoing growth. “When Melbourne hosted the Commonwealth Games in 2006, new and upgraded infrastructure was scattered throughout the city. Its athlete’s village saw a $43.5 million investment post Games to become a major residential hub in Parkville,” he said. The PRDnationwide 2018 Commonwealth Games Residential Property Impact Report shows the growth is already well underway on the Gold Coast, in particular in specific suburbs located close to the Commonwealth Games; with house sales growing by up to 9.9 percent in 2016 and their median sales price growing by up to 12.6 percent. The median residential unit price rose by up to 33.5 percent in some areas in 2016. “Investment in local transport infrastructure, an athlete’s village able to be transformed into residential dwellings, and increased recreational and retail facilities will see the Gold Coast follow the path of Sydney and Melbourne,” Mr Brasier said. PRDnationwide National Research Manager Dr Diaswati (Asti) Mardiasmo said the growth was also being fuelled by interstate and foreign investment in residential houses and units on the Gold Coast. “We have seen an increase in purchases from southern states and international buyers, in particular from China,” she said. Dr Mardiasmo said the most popular areas aligned with Commonwealth Games’ infrastructure development and included Ashmore, Carrara, Coomera, Oxenford and Southport. “These suburbs all saw median house price growth of between 4.2 percent and 12.6 percent in 2016. They also saw transaction growth in four of the five areas. “The residential unit market has been interesting. In 2016 the number of units that changed hands significantly reduced, in some areas by up to 54.2 percent, but of those that sold the median sale price was all growth with some areas witnessing 33.5 percent increases in median unit prices. “This is telling us owners are aware the market will grow further and are either holding on to their properties or are prepared to pay more to enter the market,” she said. The PRDnationwide 2018 Commonwealth Games Residential Property Impact Report is now in its fourth year with results based on years of consecutive data. “In each of our reports to date the projections have come true and we hope been helpful to investors and property owners,” Dr Mardiasmo said.